WASHINGTON (AP) — A low unemployment rate and the spreading legalization of marijuana have led many businesses to rethink their drug testing policies for the first time in decades. A small but increasing number are simply no longer testing for pot. Is it a federally regulated position, or safety-sensitive? Employment lawyers say these cases are the easy ones. If your business is regulated by the federal Department of Transportation or is a defense contractor, you are likely legally required to drug test for all drugs illegal at the federal level, including marijuana. Similarly, if a job raises safety concerns — such as a forklift driver, an operator of heavy factory equipment, or a meat slicer — it’s in the best interests of the employer to still test for pot, even if it is legal in your state. Until last year, courts typically deferred to employers who didn’t want to hire marijuana users, regardless of state law. It’s still illegal under federal law, after all. 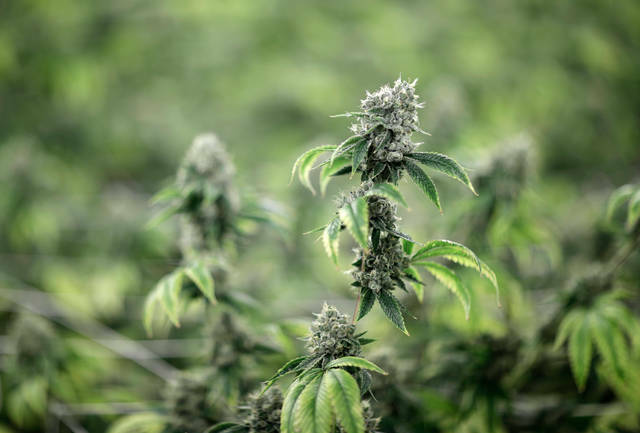 But three court cases in the past year have sided with employees, forcing companies in Connecticut, Massachusetts and Rhode Island to reinstate workers with medical marijuana cards who were fired, or whose job offers were rescinded, because they tested positive. In roughly a dozen states, medical marijuana users are protected to some degree from employment discrimination, Russo said. Yet the state laws around the issue are “all different,” she said. In Arizona and Pennsylvania, for example, state law explicitly allows employers to bar medical pot users from safety-sensitive positions, Russo said. Other states don’t have clear rules. Some companies may receive discounts on their workers’ compensation insurance premiums if they conduct drug tests. If an employer is thinking about stopping testing, they should find out whether they would lose that discount. Michael Clarkson, head of the drug testing practice at Ogletree Deakins, recommends small companies check in with their insurance brokers before making a final decision. In January, Attorney General Jeff Sessions revoked a policy from the Obama administration that had discouraged federal prosecutors from pursuing marijuana cases in states where the drug is legal. That move suggested the Trump administration would crack down on marijuana users and caused even greater confusion among employers. Last month, Trump promised Colorado Senator Cory Gardner, a Republican, that the federal government wouldn’t target his state’s marijuana industry. The state was one of the first to legalize recreational pot when it did so in 2014. Still, it’s not clear to most employment lawyers where exactly the administration stands. “Your guess is as good as mine where the federal government is,” Clarkson said.